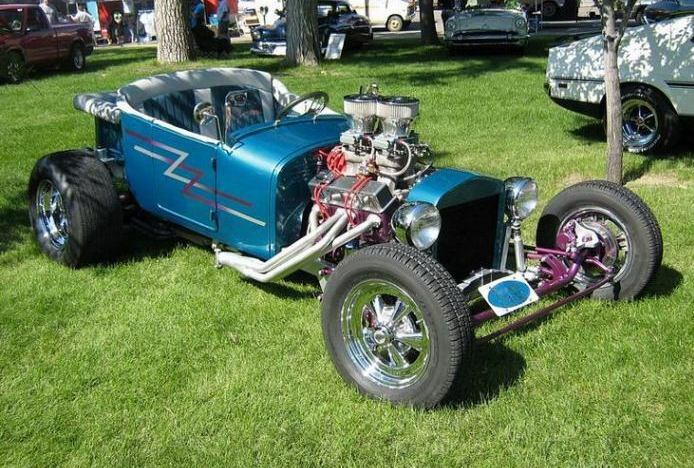 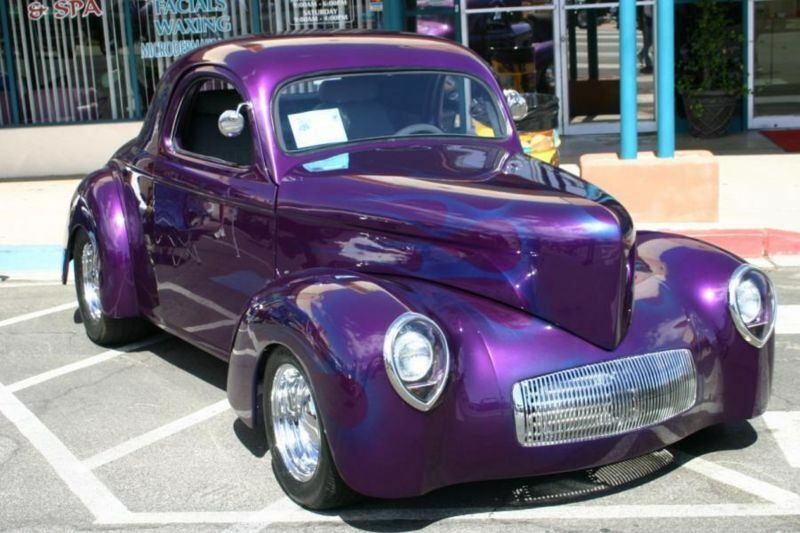 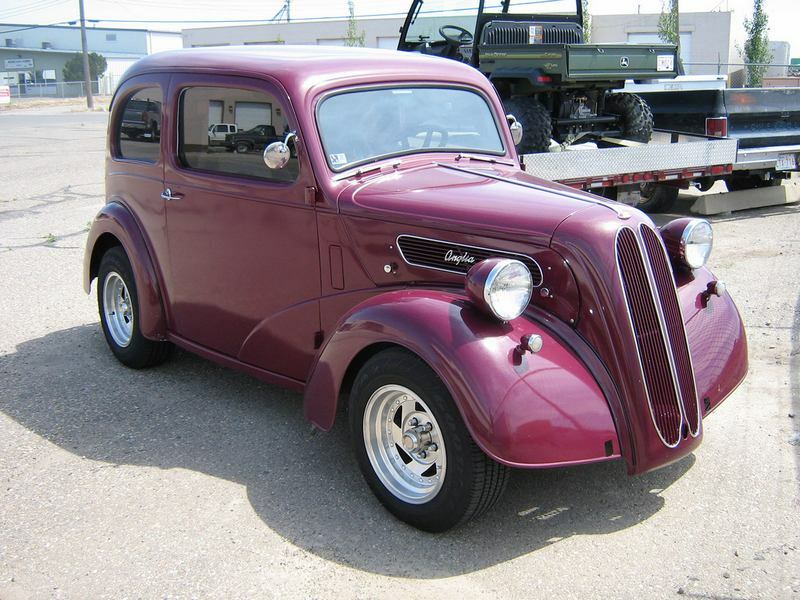 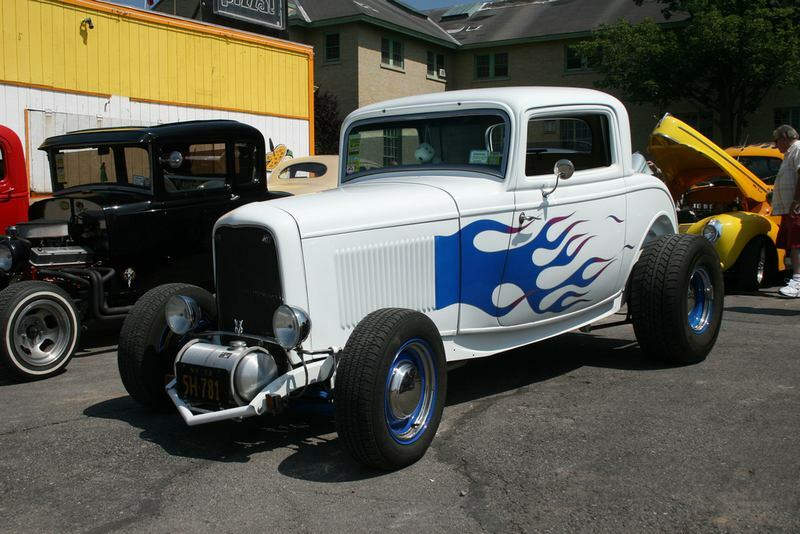 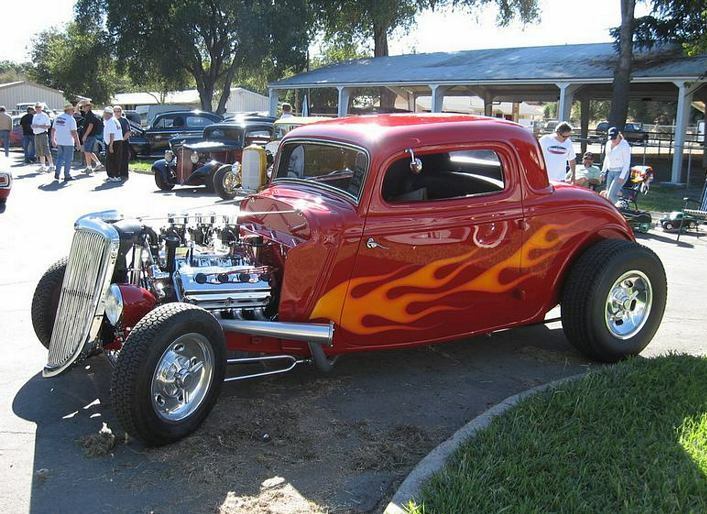 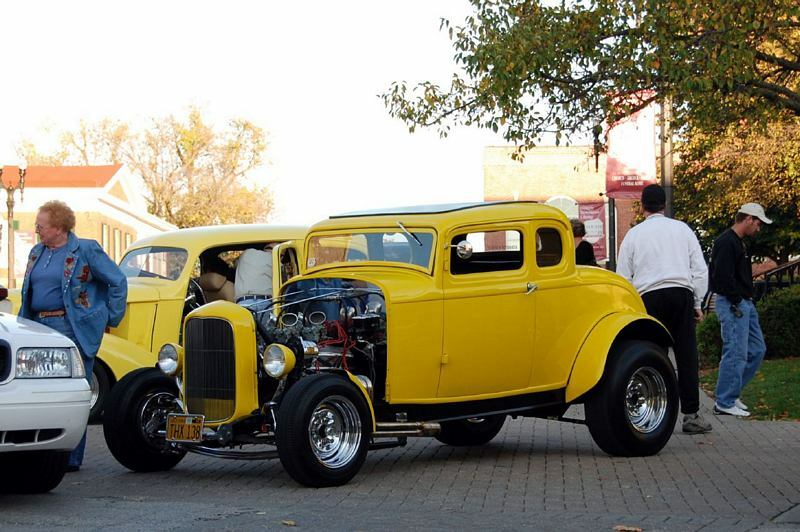 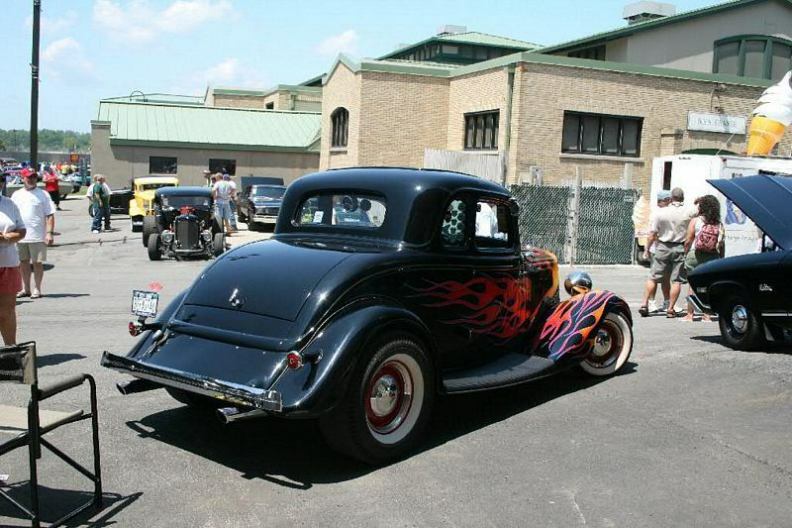 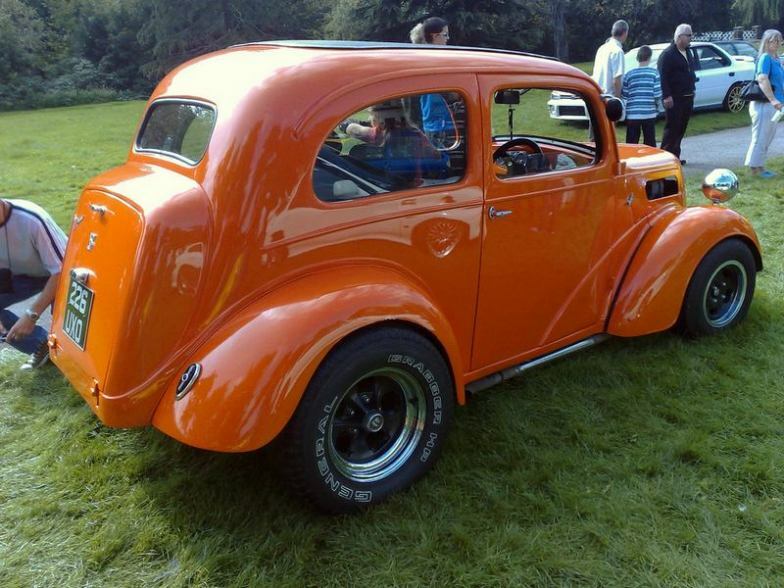 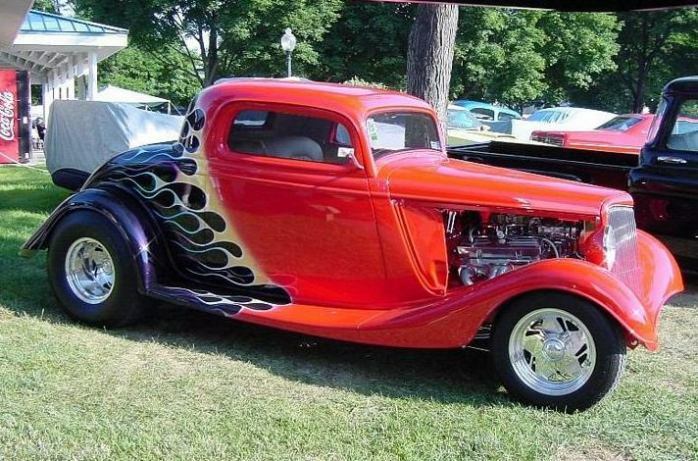 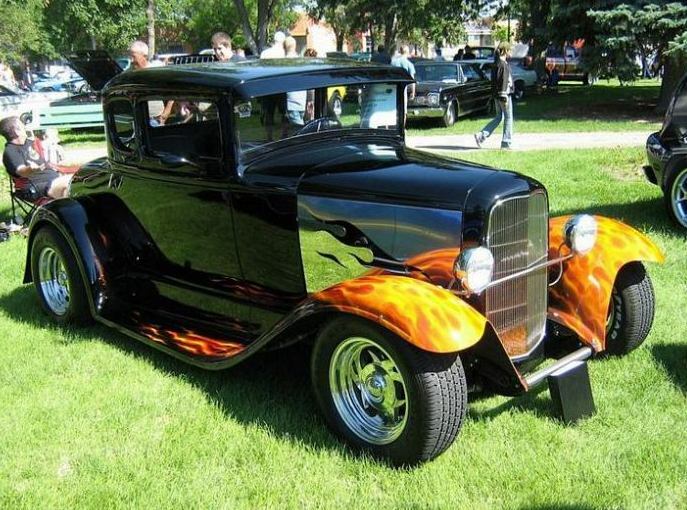 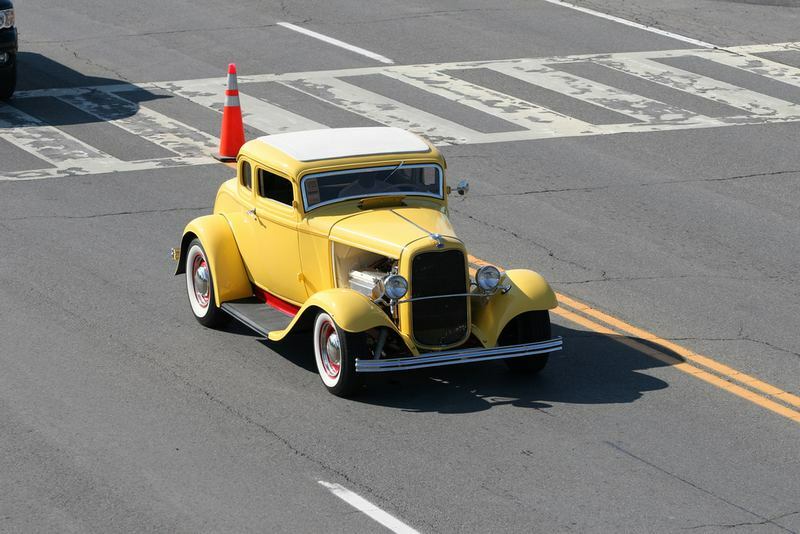 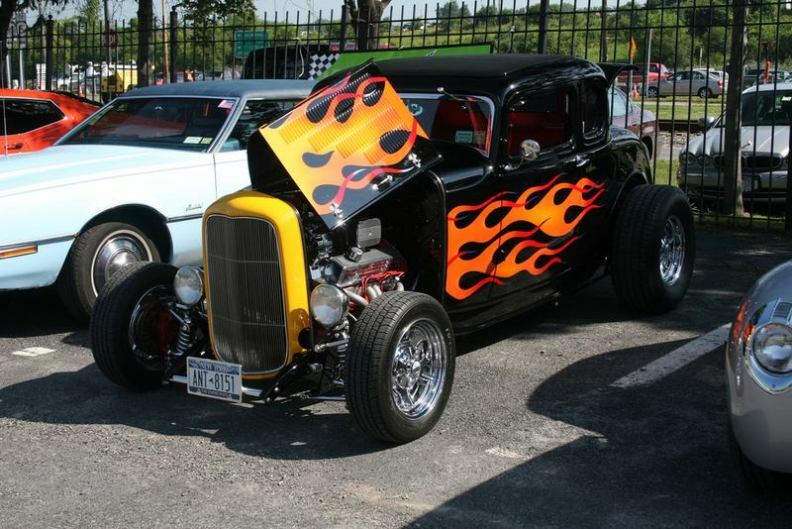 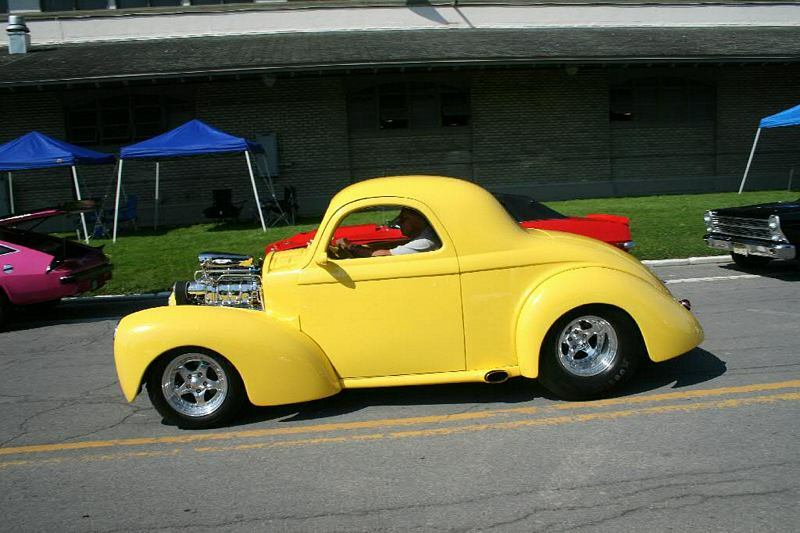 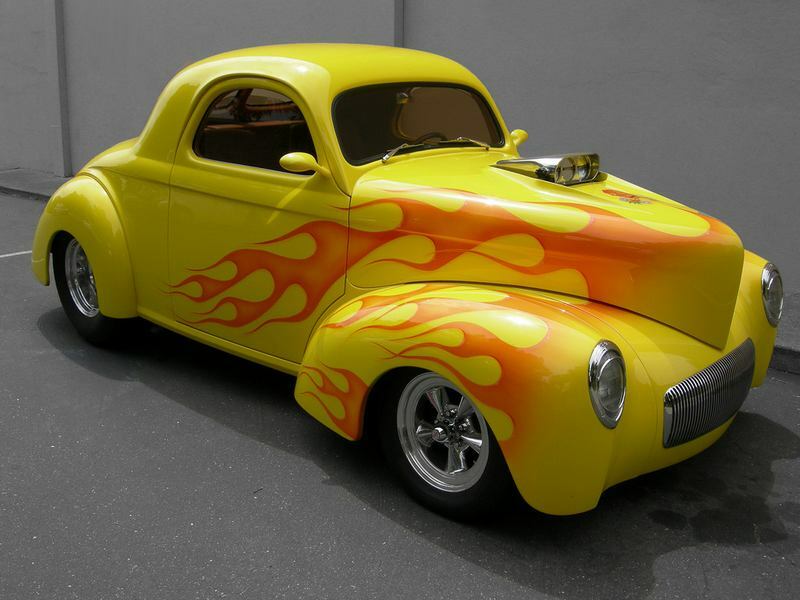 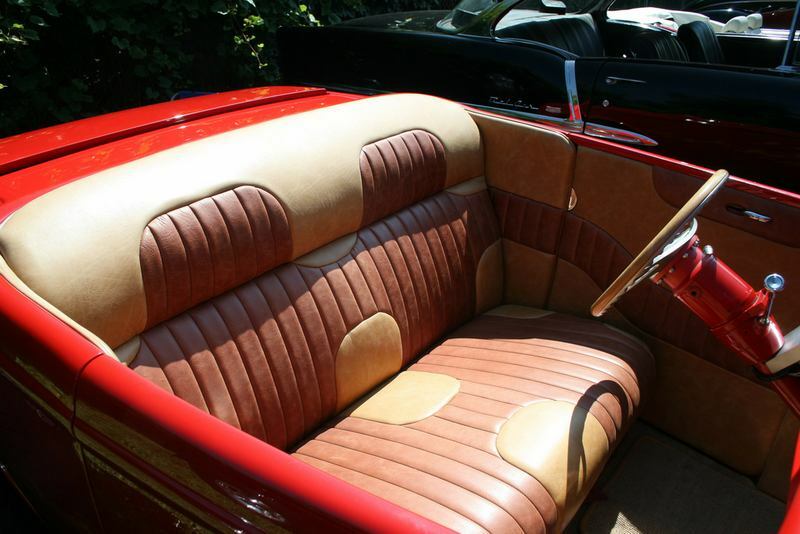 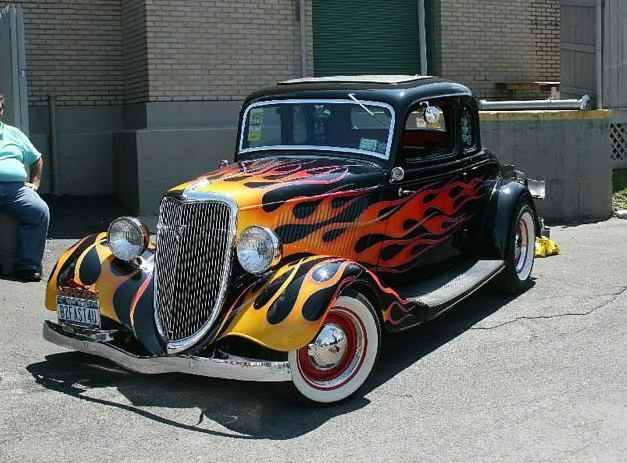 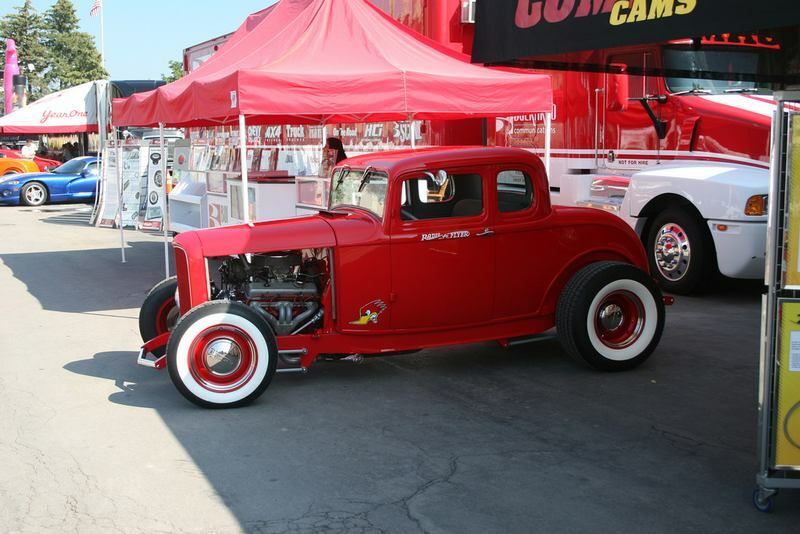 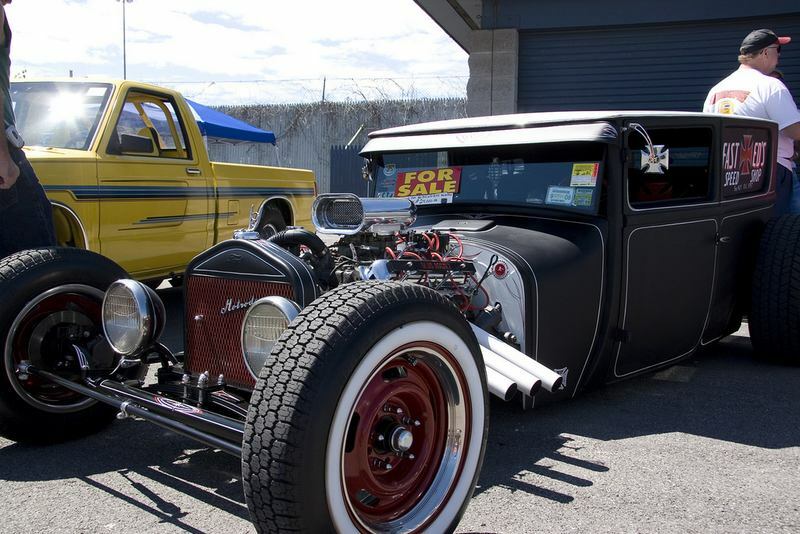 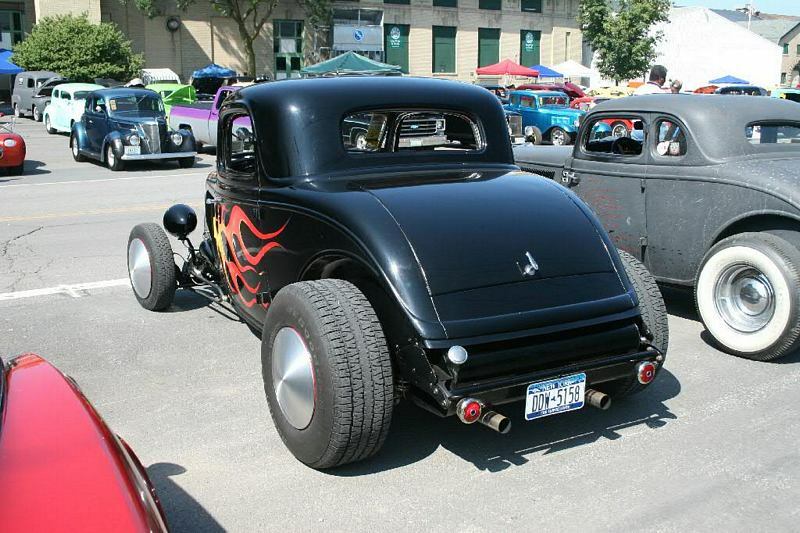 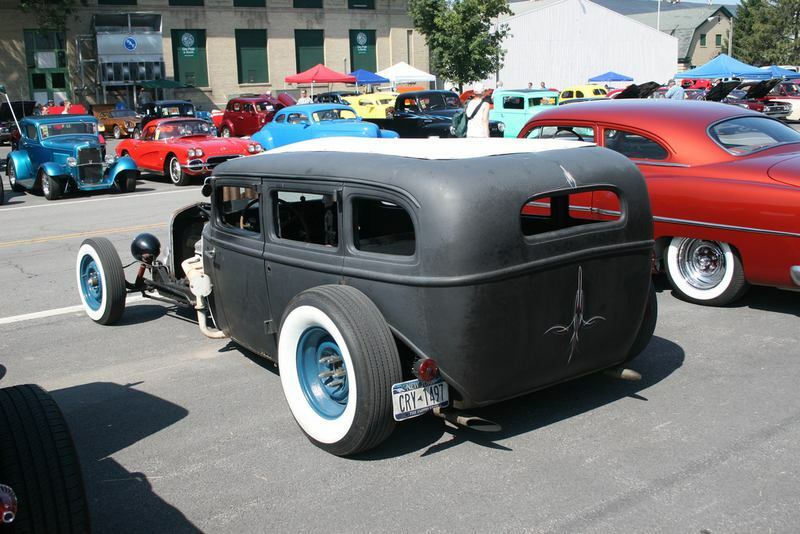 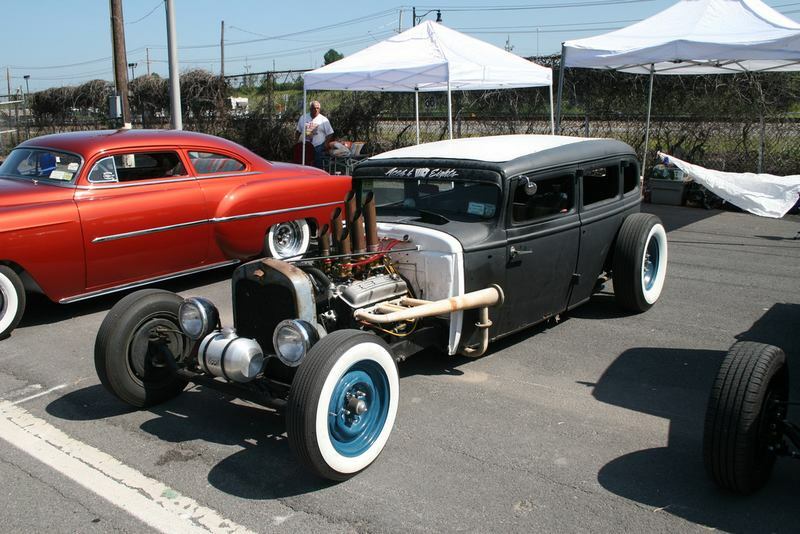 The term ‘Hot Rod’ appeared in the 1920’s/1930’s and is generally represented by a pre 1949 modified car, although some will include cars from the 50’s as well. 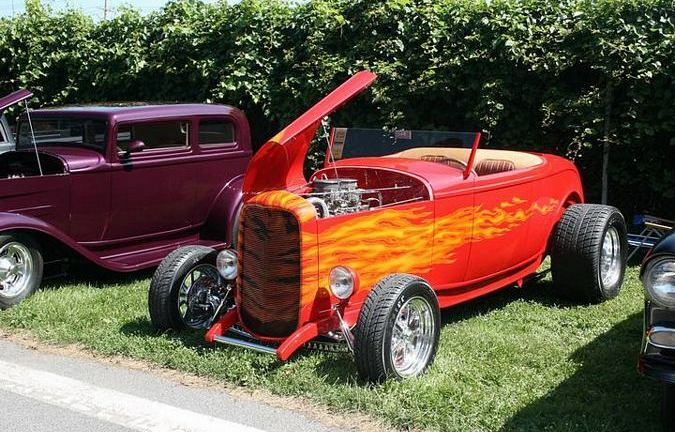 Furthermore there are modern fibreglass replicas, which are also considered to be hotrods by many as they look pretty much exactly like their steel body originals. 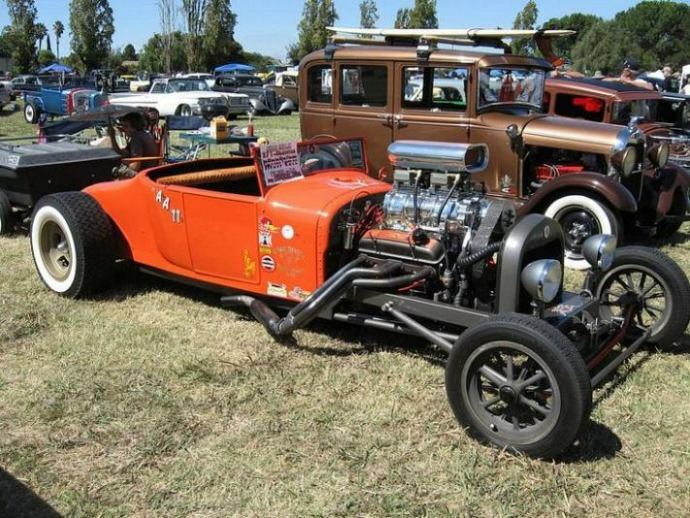 Going back to the 1920’s, many of the first hot rodders were modifying four cylinder Ford Model T’s, as these were light to start with, easy to work on and then carrying out simple engine mods and stripping them of their fenders, lights, hood and anything else not required to make the car go faster. 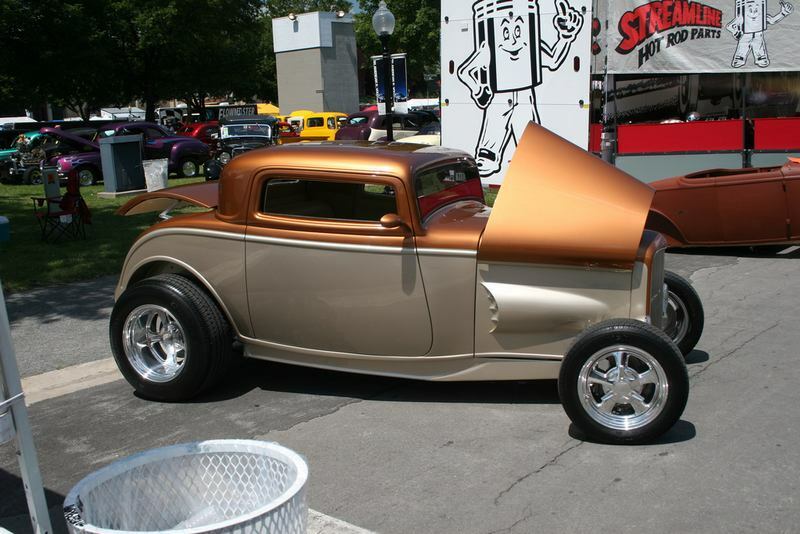 Speed shops started to pop up and in 1932 the Ford V8 flathead arrived and so started the transition to the use of a V8 motor. 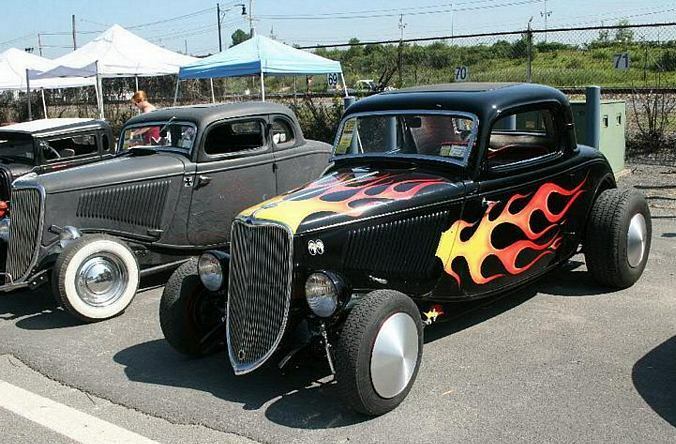 Soon after timing equipment started being used for racing and by the late 40’s enthusiasts were now altering the looks of their cars for individuality. 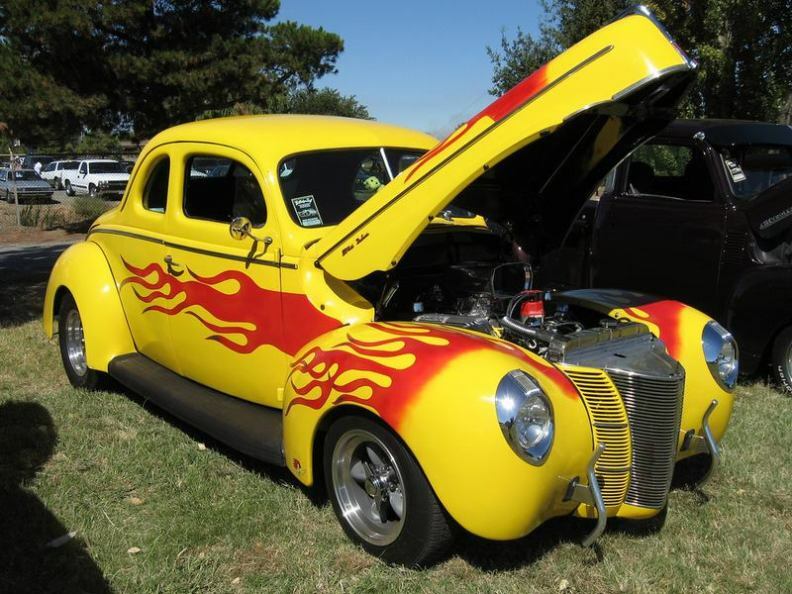 The late 40’s/early 50’s see an explosion of custom cars, racing, cruising the streets or meeting at the drive-ins (largely brought on by post war service men seeking fun and excitement). 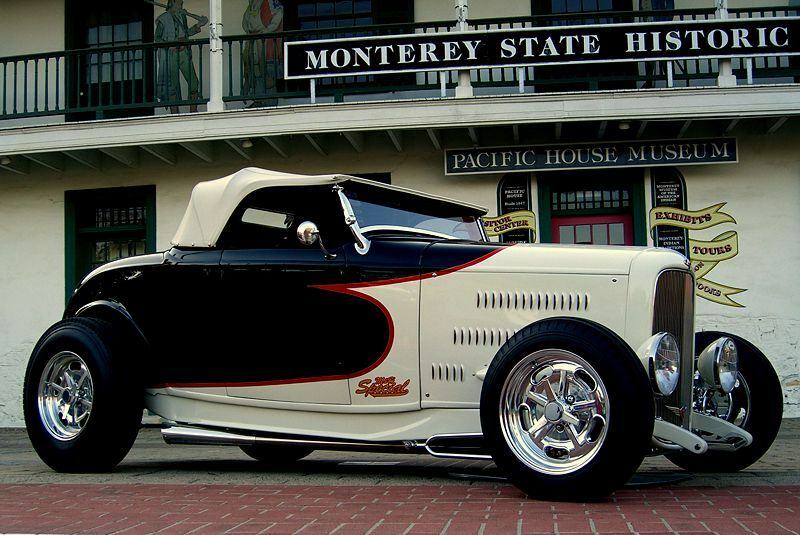 Magazine’s devoted to these cars start appearing and even movies are made and the rest is history, as they say.